The Fast-Rolling, Hard-Hitting, Body-Slamming, Neck-Crunching, Chair-Smashing, Table-Slapping dice game for 2 or 4 players. Luchador! 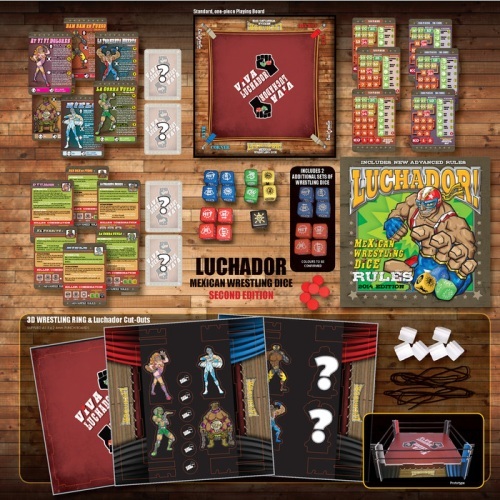 Mexican Wrestling Dice game – is a fast playing dice game based on the exciting world of Professional Mexican Wrestling or “Lucha Libre” (meaning Free Fighting). It can be played by two players or by four players playing as two-man Tag-Teams. Players roll dice to try to reduce their opponent’s strength points to zero to win by a Knock-Out (KO) or to try and hold their opponent down on the mat for a ‘count of three’ to win by a ‘Pin’. Winning by Knock-Out (KO) – If a player’s Strength Score is reduced to zero (marked as KO on the Strength Score cards) or lower, their Luchador (wrestler) no longer has the strength to continue the bout and their opponent wins by a Knock-out. Winning by Pin - If a player rolls a successful Pin result (using a Pin Die) and their opponent fails to break the Pin during the 3 Count Rule the pinning player is declared the winner. 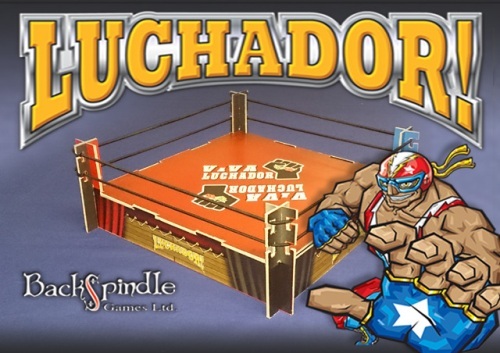 Backspindle Games have helped support and develop Luchador! for designer Mark Rivera, (Blighty Gamer). Luchador! 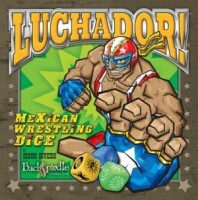 Mexican Wrestling Dice game was released at Spiel, Essen 2013 in conjunction with www.weegamers.eu and sold out! Viva Luchador! 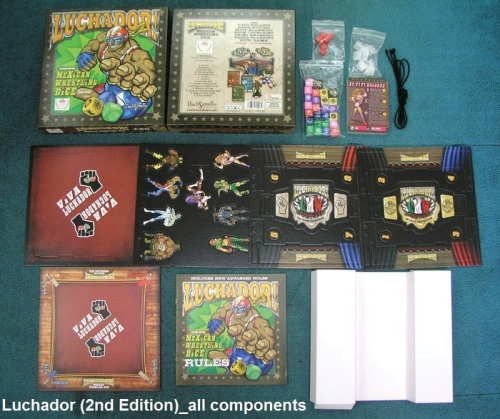 images © Backspindle Games Ltd.
Add a Review for "Luchador! Mexican Wrestling Dice (Second Edition)"